What are the parts to a domain name? Discussion in 'Introduce Yourself' started by Jessica_APLegal, Nov 7, 2018. Every domain consists of at least two parts; the Second Level Domain and the TLD or Top Level Domain. Some common TLDs are; .com, .net, .org, etc. The "dot" ( . ) is a period character and is an element of domain name structure which is used to mark the separation of the various name elements of a domain name. A Second Level Domain name is a member of a TLD. Some clarity for the purpose of making human reading of your domain name(s) might be in order. Among the character set for domain names is the hyphen ( - ) character. You can use a hyphen character to improve clarity for reading. 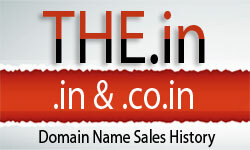 Know also that by adding one or more hyphen characters makes the name an entirely different second level domain name. A sub domain is a name typically assigned to a server that operates within the addressing scheme of SECONDLEVELDOMAIN.TOPLEVELDOMAIN . Probably the most familiar and commonly used sub domain name is "WWW". Domain-name name elements are counted from right to left. A sub domain is a possible and optional third name element associated with a larger domain name.